"Simulation-Based Education in Healthcare: Standards Framework and Guidance" is the culmination of a 2-year development program to establish a framework of best-use practices and essential (yet, generic) attributes for the deliverance of effective simulation-based education. Funded in part by the Association for Simulated Practice in Healthcare (ASPiH), and produced in collaboration with Health Education England (HEE), these SBE standards are, at present, a work in progress. The ASPiH team consulted with numerous pilot sites, experts and clinicians to build a working document with the potential to address the needs of the widest possible range of SBE practitioners and faculty, including novice and experienced allied health professionals who are both new to, and well-versed in, simulation-based healthcare training (standardized patients, role play, simulated patients, task trainers, full body manikins, etc). The document is structured in two parts (Standards and Guidance), then sub-grouped into cohesive themes, such as 'faculty', 'technical personnel', 'activity', and 'resources'. ASPiH plans to introduce a draft Accreditation process early in 2017 to facilitate self-evaluation against the Framework. This will enable all practitioners and their organizations to use the Standards Framework in a consistent way and identify how their practice benchmarks against both the Standards and Guidance. serve as an aspirational document for those developing and delivering SBE. 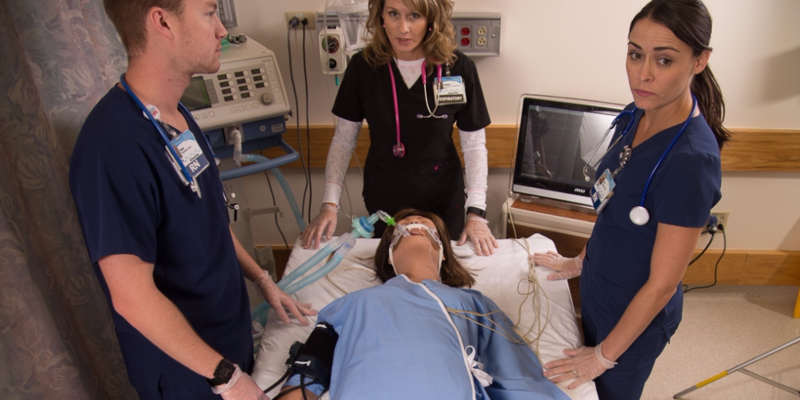 The document should not be seen as prescriptive and the intention is not to stifle innovation or creativity..."
Contact a CAE Healthcare representative to learn more about high fidelity tools for quality simulation-based education.